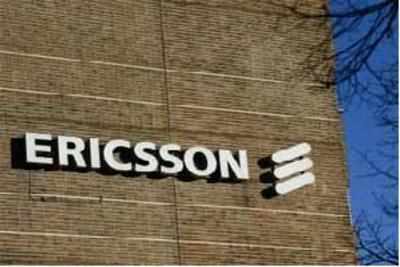 Swedish telecom technology provider Ericssontoday announced its softwaredriven 5G plug-ins, aimed at boosting adoption of 5G services. The plug-ins bring flexible 5G to existing networks, while improving operators’ mobile broadband, fixed wireless and IoT services. Ericsson believes that the 5G subscription uptake will commence in 2020, and is expected to be faster than for 4G. “The development of 5G is being driven by new use cases that will impact both consumers and industries. New applications and use cases anticipated for 5G include safe, self-driving cars, remote controlled robots, haptic feedback-enabled drones and fixed wireless access – rivalling fiber capacity – for residential homes,” said the company.Ericsson is working with more than 20 leading mobile operators worldwide on 5G networking and use cases, including 5G field trials in 2016. Ericsson’s 5G plug-ins are supported by radio system, and are specifically focused on the capabilities that operators can leverage within current networks to facilitate their evolution to 5G. Massive MIMO plug-in: A combination of Single-User MIMO (SU-MIMO) and beamforming supported by advanced antennas with a large number of steerable ports. Massive MIMO improves both the user experience and the capacity of the networks. Multi-User MIMO plug-in: Building on Massive MIMO, the Multi-User MIMO (MU-MIMO) transmits data to multiple user devices using the same time and frequency resources and coordinates beamforming. MU-MIMO provides a better user experience, enhances network capacity and reduces interference. RAN Virtualization plug-in: RAN Virtualization improves network efficiency and performance by enabling Virtual Network Functions (VNF) to be centralized on a common platform, supporting both 4G and 5G.Intelligent Connectivity plug-in: Where 5G and 4G coverage areas overlap, Intelligent Connectivity enables the network to robustly anchor and intelligently route data based on application requirements and network resource availability, increasing the combined data throughput of 4G and 5G resources. The plug-ins are available for operator trials starting in 2016 and will be available for commercial networks starting in 2017.